Look for the ORGANIC symbol that says, "This product has been certified using Federal organic standards." Make this an "Organic Holiday" by only buying products with a USDA Certified Organic symbol on the package or organic farmer direct. Look on all food, beverages, alcohol, candy or holiday treats you buy to avoid contact with toxic GMOs (genetically modified lab food), multiple pesticides, or artificial flavors made with 50+ chemicals to try and duplicate Mother Nature. Many artificial colors used in products for USA cannot be added without a WARNING label in other countries. GMO high frutose corn syrup, GMO soy lecithin, with most "sugar" on label coming from GMO sugar beets. Over 80,000 chemicals approved for use in NON organic products. Big "unknown are the chemical interactions between GMOs and other additives. Not required to test for new chemicals created when mixed together, and if they are safe or not. Make this an﻿ organic h﻿oliday and NOT ﻿invite﻿ Monsanto to the table. Organic companies are willing to give up higher profits to offer safe ingredients. In return we support them when we buy their products. Many companies that use GMOs have also paid to defeat GMO labeling. Our dollars are then used by these companies to keep us from knowing what is going into foods that go into our bodies and impact health. Organic products reduce the total toxic exposure you and your family take in on a daily bases so disease risk lower. Organic products keep our families safer and say to companies that use ingredients that contain pesticides and or GMOs, "We don't want it!" Organic Companies Worth Supporting With YOUR Dollars! closer look at our candy choices. If GMO labeling was mandatory we would clearly see what really goes into products that include the words "Natural" on the label. The Consumers Union found that many "Natural" products DO HAVE GMOs! Only those with a seal that said "Verified NON GMO" tested negative, but products that claimed Non GMO with the seal did test POSITIVE FOR GMOs! GMOs = Toxic Pesticides in addition to GMO poisons. Just because a product is certified NON GMO with a seal is NO guarantee PESTICIDE FREE. May actually contain a high level of toxic, cancer causing pesticides. Only way to avoid GMOs and pesticides is TO BUY USDA Certified ORGANIC! Any ingredient that comes from corn, soy, cottonseed, canola, or sugar beets is likely GMO. Acids including amino acids also GMO. Artificial flavor can take 50+ chemicals to duplicate mother natures mint oil or any other flavor that occurs in REAL FOOD. Artificial color risks here. 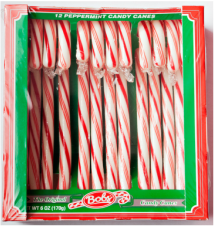 Bob's was the only conventional candy cane in this group to use REAL peppermint oil as flavor. All others brands used artificial, synthetic or GMO flavor sources. You really don't know. Chemicals used to make "Fake Flavor" are not required to be listed on the label to protect "company trade secrets" NOT YOU! Would require a very long label to list all the chemicals in the "designer flavors" that target addictive part of our brain. When a product is not organic, and it says "SUGAR" not "CANE SUGAR" it most certainly comes from GMO sugar beets. Sugar cane is not GMO but some of our most toxic pesticides used on sugar cane now and for decades so soil and sugar cane heavily contaminated. The processing of conventional sugar involves chlorine containing chemicals to bleach white. Not in organic. These brands ALL use ingredients we should AVOID! Ingredients: Sugar, Corn Syrup. Contains 2% or Less of: Malic Acid, Artificial Flavoring, Sodium Lactate, Artificial Colorings (Includes Red 40, Yellow 5, and Blue 1), and SulfurDioxide, a Preservative. Ingredients: Sugar, corn syrup, citric acid, malic acid, artificial flavor, color added (includes Yellow 5, Red 40, Blue 1). Buy organic and lower your toxic exposure. Know the company you buy from. Here is an example of a true organic company. 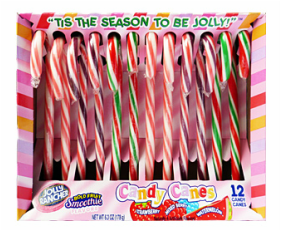 TruJoy Sweets is one of the country’s only brands of organic candy canes. Only four simple ingredients: organic evaporated cane juice, organic brown rice syrup, organic fruit juice, and natural peppermint flavor. They contain no corn syrup, artificial colors or flavor, and they are gluten-free, vegan, kosher and verified non-gmo by the Non-GMO Project. Highly recommended trying their Fruit and Choco Chews for REAL flavor burst! 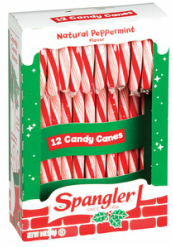 Candy Canes were first invented over 350 years ago to keep the children in the choir occupied during church services. Just a few ingredients cooked up in a way to make it pliable enough to shape into a shepherds staff, but would then dry to a hardness that allowed it to be held for long periods of time without melting. Adding the red colored stripe and the traditional peppermint flavor would come later. Learn more about TruJoy products and why their ingredients are superior and safer for kids and adults. Kids even more as the pesticides and artificial chemicals in other products hurt them even more since they are growing. A developing body is more vulnerable to cell damage. Choose organic! 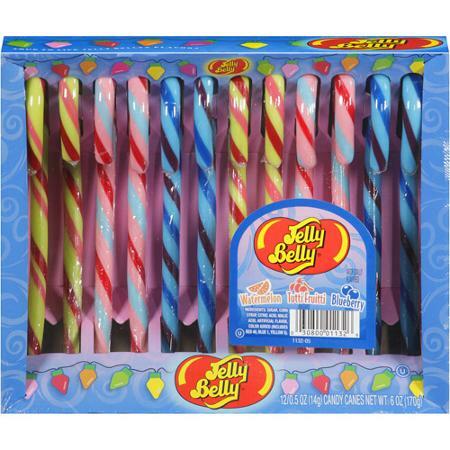 How conventional candy makers use high fructose corn syrup, and artifical colors/flavors. Think natural flavor is better? GMOs are allowed in natural products, and aspartame artificial sweetner as well as MSG (monosodium glutamate) are also allow in natural products. Find out more about how aspartame eats you brain. (click here). Artificial and natural flavors need 50-100 chemicals to create and good chance you have never heard of those chemicals before unless have a PhD in chemistry. We really don't know what is happening when we combine all of these chemicals and pesticides together. They can be creating multiple new chemicals that can be more toxic than the originals. 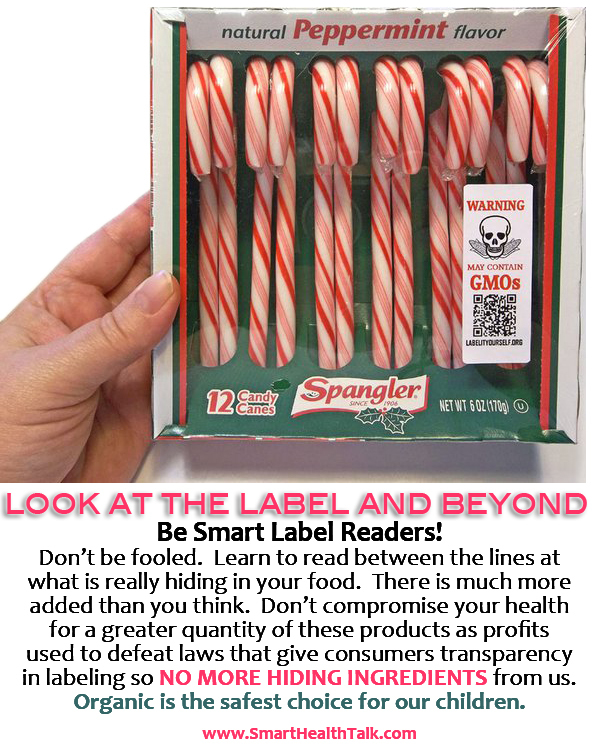 Avoid all this and avoid them entirely when you buy Trujoy organic candy canes. Dr. Vandana Shiva is recognized all over the world for her work to stop hunger and bring healthy food to all. Hear why she think as consumers why we should support organic. How to improve health, eat organic foods, and afford organic treats. 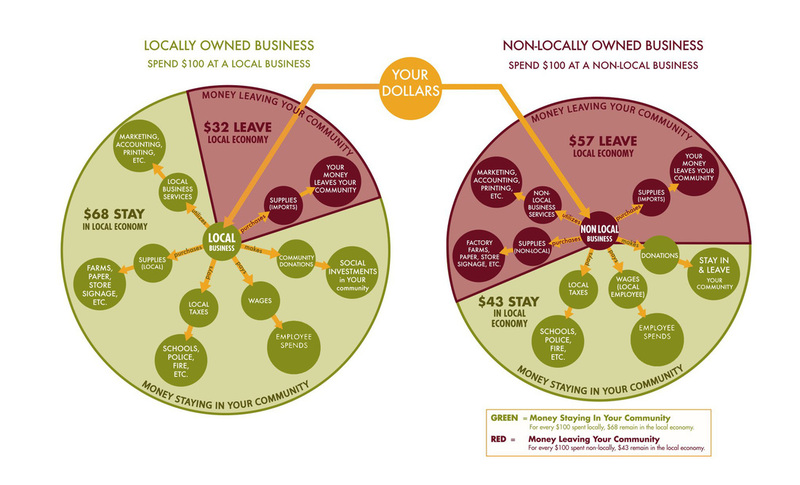 When you buy farm direct, more of your dollars stay in the community. 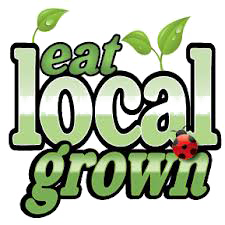 You can buy fresh organic produce from someone you know and trust to feed your family, you in turn help to feed theirs. There are extra costs to sell foods in stores that are avoided when you buy farm direct. Nutrition and taste can also be exceptional.